Me, the recovering sugar addict, circa 2005 - it’s already online so no point in trying to blackmail me anymore. Disclaimer: Sugar’s scientific name should be DE*LI*CIOUS. Since it isn’t, let’s get to some aspects of it that might be influencing our minds, relationships and life results more than we know. Sugar is a MACROnutrient known as carbohydrate. Carbohydrates come in simple forms such as sugars and in more complex forms such as fiber. 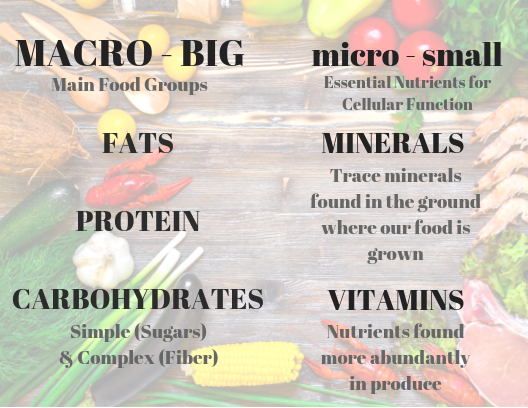 Most foods naturally contain some sugars, but they are mostly concentrated in fruits, vegetables and grains. Carbs, specifically complex carbs, do a wonderful job at feeding the brain and promoting a healthy cardiovascular system. No wonder most people get into a “brain fog” whenever they do a low-carb diet. Is too much sugar bad for you? Of course. But is all and any sugar bad? No. With that in mind, here are some concerns in regards to today’s sugar consumption in the U.S. (other Industrialized countries aren’t too far behind though). 6 tsp (24 grams) for most American Women. 8 (32 grams) tsp for most American Men. 1 teaspoon of Sugar = 4 grams. Now remember that we’re talking about added sugar, which is totally different than naturally occurring sugar that can be found in foods such as fruit (fructose) and milk (lactose). Added sugars are sweeteners and syrups put in foods during preparation or processing, or added at the table. NOTE: This is NOT based on how many calories you currently consume per day. Calories aside, your liver still can only take and process so much sugar no matter your daily food consumption. Me in June 2018 leading a Women’s Health Retreat in Mexico. Daily sugar consumption: ridiculous low and yet, the payoff was ridiculously awesome! An all encompassing sense of well-being and contentment. Here are some quick facts on the sugar content of some foods commonly seen in the “healthy” spectrum. Notice how easily one can consume their daily recommended sugar intake without eating a single “junk food”, most times breakfast alone will get you more than half way there for the day. Jamba Juice Mega Mango Smoothie: 28 ounces = 89 grams of sugar (and then you are done for 3 days!). SWEET TIDINGS OF GREAT JOY! So, now what? You learned some basic sugary facts and what to aim for in order to obtain healthy blood-sugar levels. Is that going to be enough to end your love affair with sugar? For me it wasn’t. - A system that would be easy to follow and to implement into my full life. - Tools to help me with the mindset I had developed surrounding my eating habits. - Real people I could relate to. Support, accountability and growth through shared experiences. I have just scratched the surface on what I want to arm you with. There is a lot more coming, indeed I have created a whole 28-Day Program to help those seeking to take their health to next level - be that you or not, I still want to recognize your desire to improve by facing the hard facts about the habits that are shaping your life (and waistline). The first step is awareness my friend. Click below to book a FREE 20-minute consultation with me to see if the 28-Day Sugar Crash Program is right for you. Don’t want to miss upcoming Blog Series and Programs? Click HERE to get on my VIP list.